40L per play, tp to the Seasons Gacha grounds for these and a myriad other amazing things. I’m extremely late blogging this because I completely forgot about wordpress (the internet is HARD, you guys!) so I might leave this items up for a few hours longer but errr… new items! 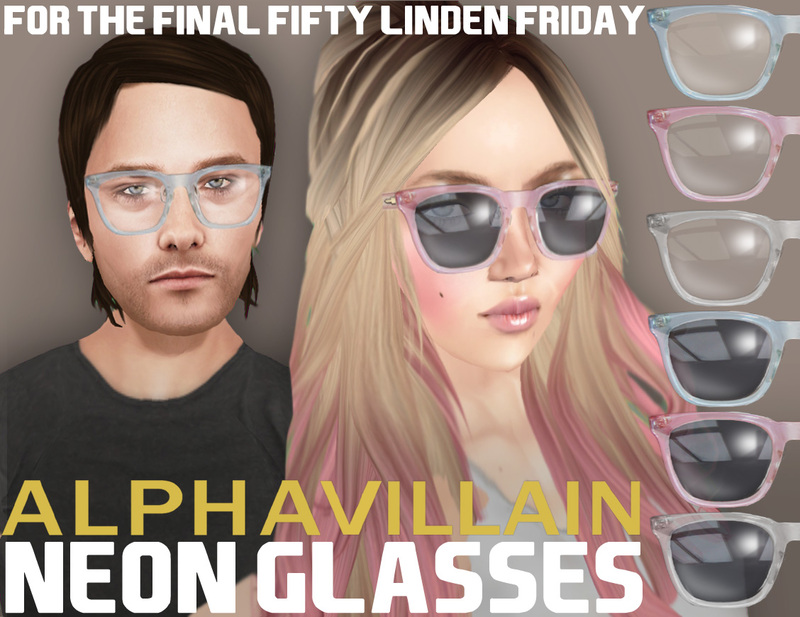 Two all new glasses fatpacks for the final Fifty Linden Friday, out now at Alphavillain. 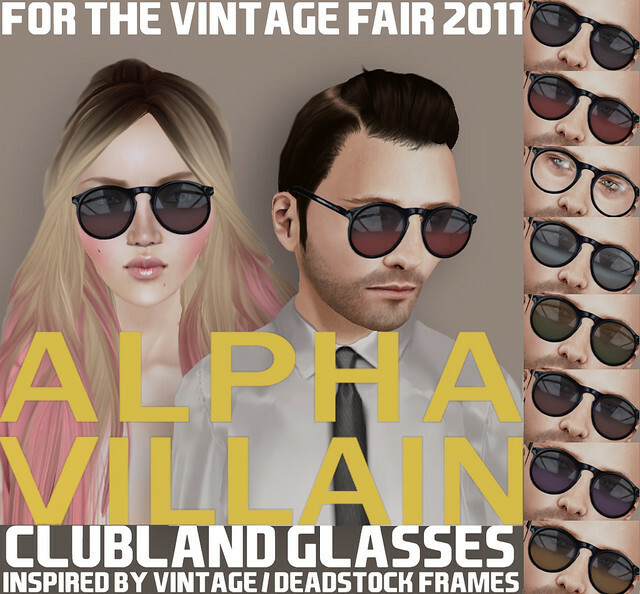 The Vintage Fair is a vintage inspired event (obviously) that opens to the public at 4pm SLT today. Drop by and check out all the radtastic retro wares, why don’t you?! 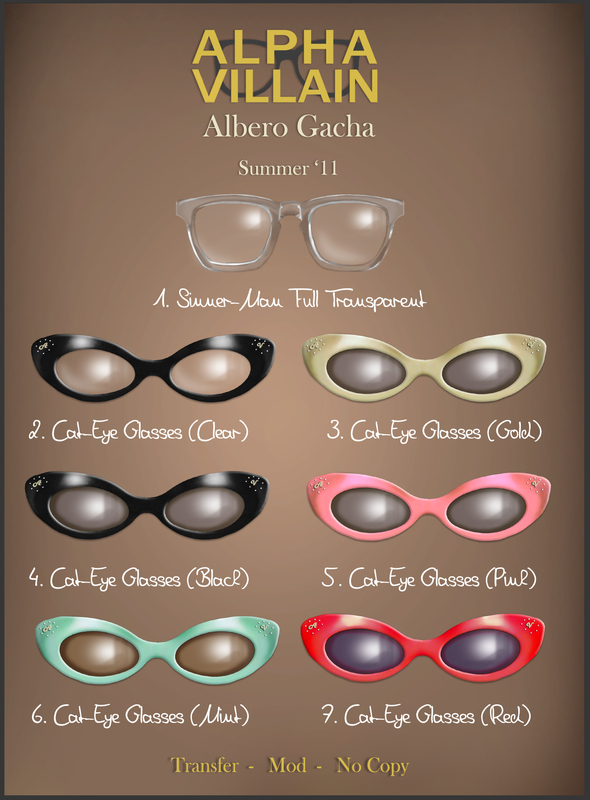 TP to the Albero Gacha Festival to play for 40L! Rolled sleeve basic tees for all your rolled sleeve basic tee needs, for both birds and bees. Fully unisexy and available in 12 colours for 80L each or all twelve at 300L for the fatpack. 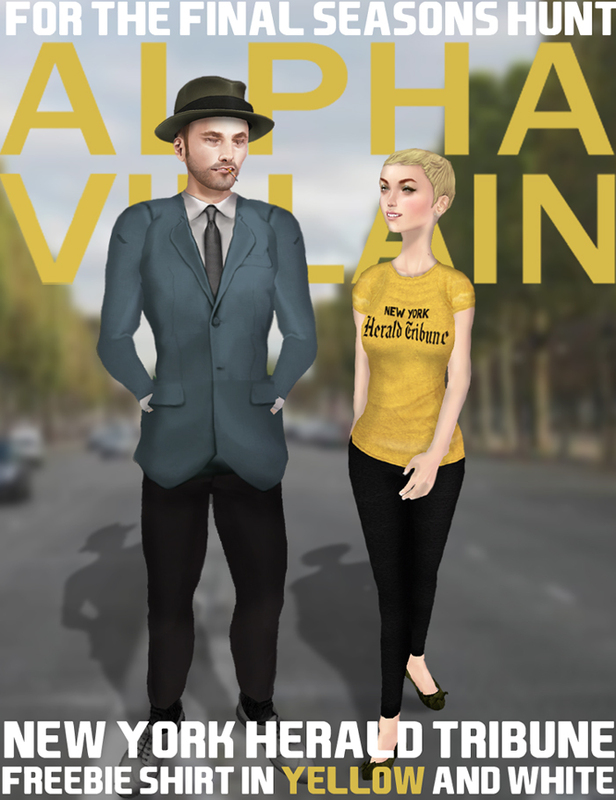 TP to Alphavillain to have a look. 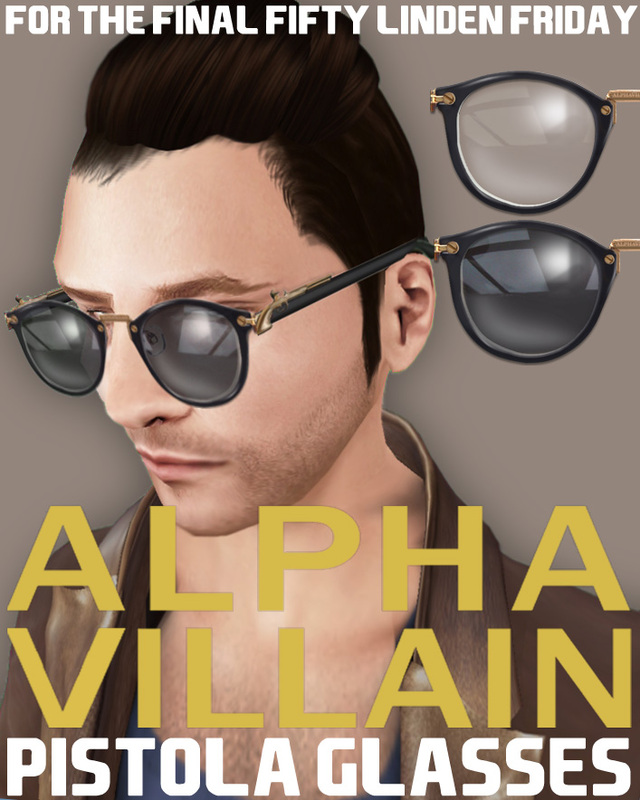 If you were always dying to get a pair of my douchey retro frames but could just never find the time to come down and sort through them all you’ll be pleased to know that I’ve finally got my act together and put a bunch of it them on the marketplace. These are based on my favourite pair of RL glasses. 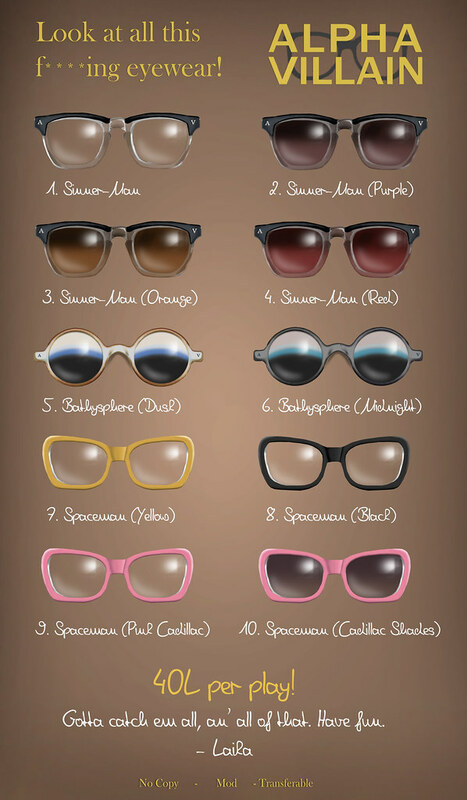 They come in black frames and tortoise shell frames and in a variety of lens formats. 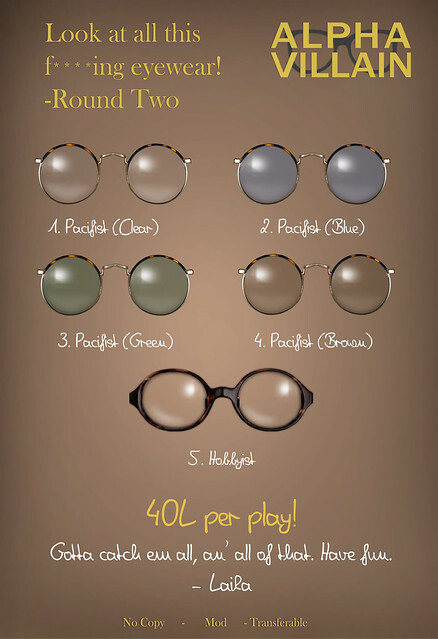 Grab each pair for 80L or click the fatpack button below the vendor to get all four of each frame style for 200L. Out now for the second round of the Albero Spring Gatcha Festival. And I’ve put the first lot in my store for those of you that missed it.